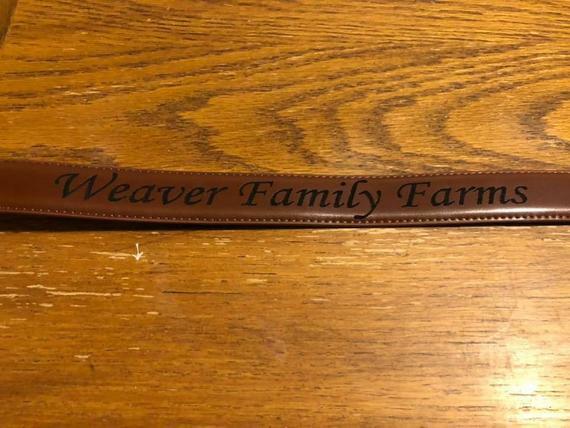 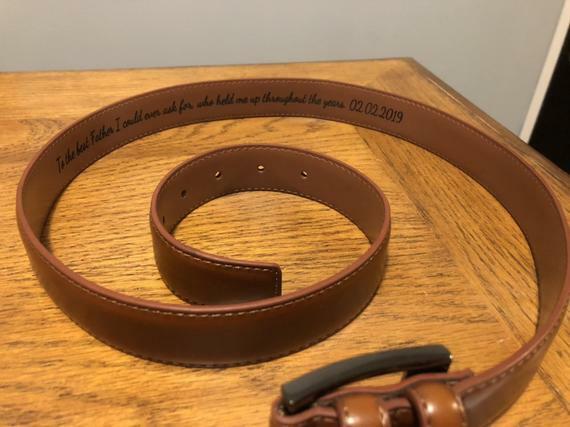 We sell these custom engraved belts! 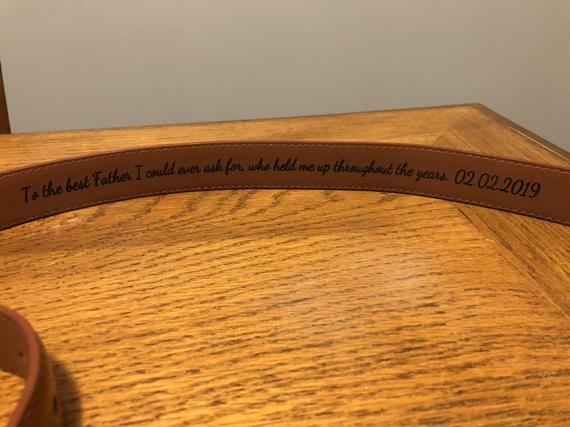 You can have the engraving on the outside or the inside just let us know the message you want and the size you need! 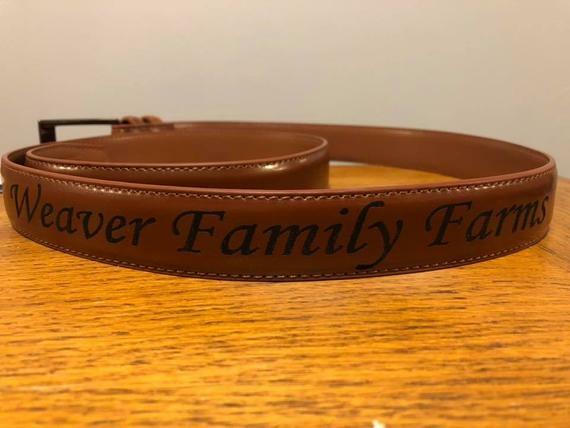 We typically engrave brown color belts because the engraving shows up on them best!